7am Arivu is the most expecting movie to hit the screen on this Diwali. Yes the movie is getting ready for release. 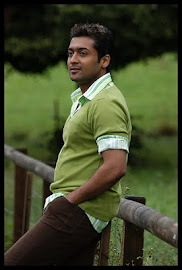 Surya plays as a Buddhist monk, which he never done before… Surya is in dual role. Another one role as a circus artist. Surya worked hard for this movie. AR Murugadoss said that, Hollywood can remake this movie. This shows that how much he was confident in his movie success. Shruti Haasan plays Subha Srinivasan, a young scientist . The movie has cinematography by Ravi K Chandran, action choreographed by Peter Hein, editing by Anthony and art direction by Rajeevan. This Diwali will be a great treat for all because of the most expecting film 7am Arivu release.